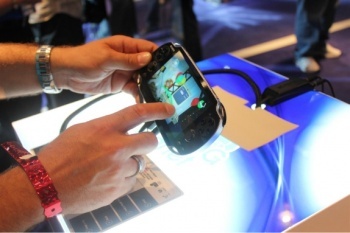 Sony seems to be of two minds on Vita's financial stakes. Sony's PS Vita has a ton of nifty hardware crammed into a tiny package, but it will be selling the device at a minimum of $250 to compete with Nintendo's 3DS. Last week, Sony's Kaz Hirai said that Sony would be losing money on the Vita, and expected the hardware to be profitable in three years. However, Sony Europe boss Andrew House told GamesIndustry.biz that he expected the PS Vita "business" to be profitable from the get-go. "I think as a business it will definitely be profitable from day one." "In terms of hardware specifically, it's really not something we tend to comment on," said House, even though Kaz Hirai in fact did just that, "[But] I would say it will be a significantly better situation than for example, the PlayStation 3." The PS3, by the way, didn't become profitable until March 2010, three and a half years after it launched. Compared to the PS3, said House, Vita was "in a much, much healthier place from a profitability stand point." In all fairness, the messages here aren't exactly being mixed - Kaz Hirai was talking about losing money on the PS Vita hardware, whereas Andrew House is talking about turning a profit on the entire business. Clearly, Sony is gambling that its peripherals and games will make up the difference. But here's the thing: The profit margin on games is notoriously slim, and I can't imagine it's much different when it comes to peripherals. All it takes is one underperforming big-name title, and the PS Vita business is back in the red. I can only imagine that Sony is walking a very fine tightrope here. I suppose that's just how the business works, though. Ah well.